I was born in New York City. My mother was a professional Broadway dancer (until she was expecting me). My father was a professional costume designer, working on Broadway and in Film. He was also a Magic aficionado. One evening, my parents attended a Broadway play that a colleague was in, “Winterset” by Maxwell Anderson. The lead character was named Mio. They liked that name and gave it to me when I was born. I’m often asked if Mio is my real name or a stage name, and the truth is that both are true! When I was six or seven, my father would sit me on his lap in the kitchen and teach me Magic with cards. He brought me to Magic conventions and Magic shows, always explaining how things were done as they were happening. At the time I didn’t realize I was privy to classified information! Although I never thought of being a Magician when I grew up, I felt I knew some great card effects and secrets! Growing up, I was fortunate to go backstage at Broadway plays and onto the sets of major motion pictures with my Dad. He was the costume designer on Robert De Niro’s first film, “Bang the Drum Slowly” and he brought me to Yankee Stadium for several days of filming. Following my graduation with a BA in Theater from SUNY Binghamton in 1980, I pursued a career in acting and directing. I directed an original play for my senior thesis and directed an off-off Broadway production. Many Magicians take acting classes to improve their performance. I come from a theatrical background and it has been invaluable to the furtherance of my career. 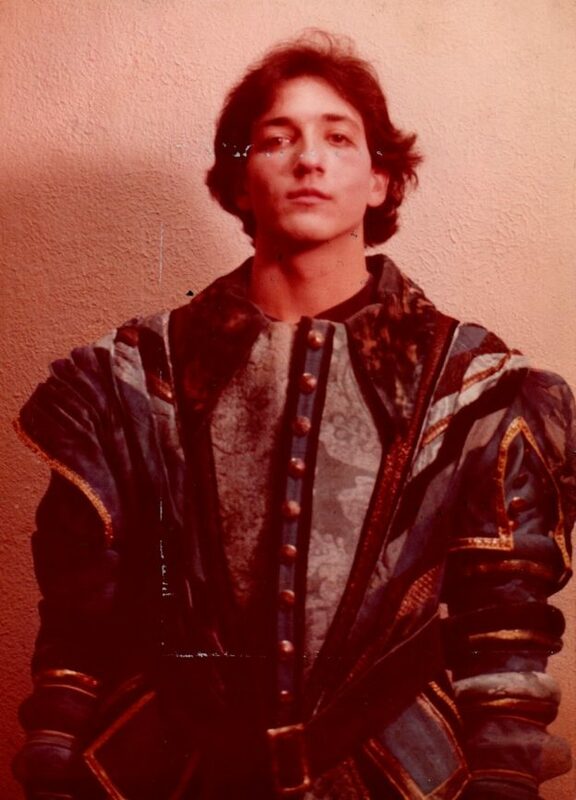 Having grown up in NYC all my life, I was curious about the rest of the country, so I went exploring… this photo is from Santa Fe, New Mexico where I lived for two years and played the role of Benvolio, cousin to Romeo, in a production of Romeo and Juliet. In my late 20’s, I was living in Dallas, Texas, when an amazingly talented Close-Up Magician, Brad Cairnes, serendipitously moved in next door. Upon meeting, Brad showed me a card effect which just happened to be one that my Dad had shown me, so I showed him my version, Brad showed me another, then another, and away we went! We became fast friends. Brad taught me the fundamentals of sleight-of-hand Close-Up Magic and said, “if you learn these seven moves, you could be a professional Magician,” which at the time sounded simplistic but to me was no joke! I took Brad at his word and delighted in the opportunity to perhaps shape my life into a previously unthought of direction, one that seemed super exciting in its limitless opportunities! After a year of constant practice, I left Dallas and moved to Florida. In the beginning, I only knew a few effects… about twenty minutes of Close-Up, but I made them very entertaining! I attended seminars, purchased books and videos, had private lessons and continued to strive to improve and expand my repertoire. It was when my technical skills caught up to my presentational abilities that I was really able to put it all together and move on to the next level! To this day I continue to attend seminars and workshops with the leaders in the fields of Magic and Mentalism to master new effects. I now have two, 50-minute Mentalism Stage Shows, and at least that in different Close-Up effects. I often get asked back by the same clients and referred to new clients!